It's time for a hoop-shooting showdown! A crew of the best basketball players around are here to show off their skills. Set the trajectory of the ball and then shoot - but keep an eye on the other players! Some of them don't always like to play fair. 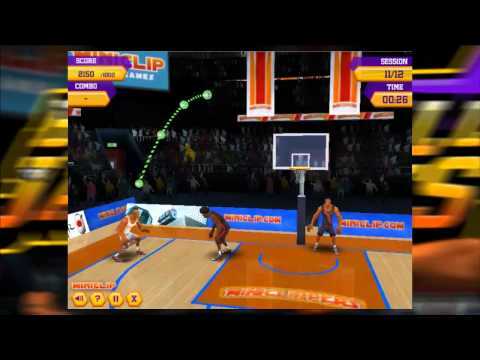 Score the minimum number of baskets and points shown in each mode before the clock runs out to unlock the next mode and more players. Chain successful baskets together to earn a chance at a long-range bonus shot for extra points. Can you beat Inferno Mode? Play now and give it your best shot!